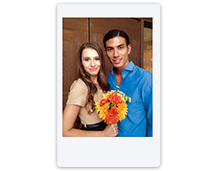 Download Fujifilm's instax SHARE application. Make copies with the REPRINT button. 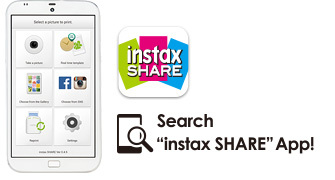 Just by downloading Fujifilm’s instax SHARE free app, you can have smartphone images printed easily. Android™ phones: Installed with Android Ver. 2.3.3 or later and Google Play. iPhones®: Installed with iOS Ver. 5.1 or later. Some types of phones satisfying the above conditions may not be compatible with instax SHARE even if the app is installed. 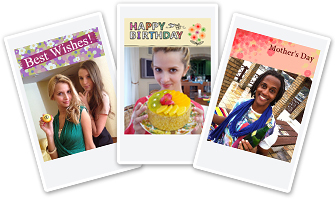 * More special Seasonal Templates are scheduled to be added on a regular basis. 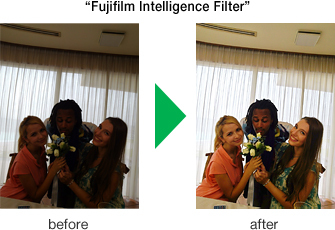 Filters available including ”Black & White“ and ”Sepia,“ which give a special look on images to make printing more fun! * More filters scheduled to come on stream. 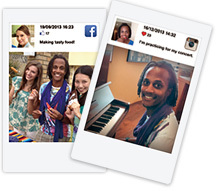 This special site will tell you more about "instax SHARE" Smartphone Printer SP-1.